At BlueScope, we are committed to improving our environmental footprint and helping others to do so through our sustainable products and solutions. Steel is essential to our daily lives. From our homes, offices, hospitals, schools and shopping centres to our cars, appliances, medical instruments and machinery, steel is one of the most common materials we come in contact with every day. And steel is critical to improving the environment through its use in wind towers, water tanks, low carbon intensity construction, and lighter, more efficient cars. At BlueScope, we are committed to improving our environmental footprint and helping others to do so through our sustainable products and solutions. This year, at our Australian operations we again lowered our fresh water usage, reaching our lowest freshwater intensity in 5 years. We are pleased with this improvement but recognise more must be done and we will continue our efforts. 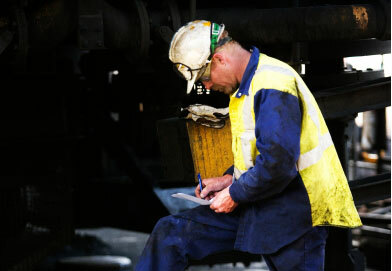 The financial year 2011 was a difficult one for the global steel industry and for BlueScope Steel. The Company experienced an unprecedented combination of economic challenges in the form of a record high Australian dollar, low steel prices and high raw material costs and these challenges were compounded by low domestic steel demand in the wake of the Global Financial Crisis. We took a number of actions to improve the Company’s financial performance, combating these economic challenges. In August, the decision was made to exit our export business from Port Kembla and to align Australian steelmaking production with Australian domestic demand. Our production capacity at Port Kembla has been reduced from 5.3 million tonnes per year to 2.6 million tonnes per year. In addition to improving the future financial performance of our Australian business, there will be a further consequential environmental benefit with a reduction of carbon emissions, energy and water usage. Earlier in the year, BlueScope concluded its carbon tax negotiations with the Government agreeing to a sectoral deal for steel under the Steel Transformation Plan. The Plan provides a pragmatic solution to the complex problem. BlueScope continues to contribute to international research efforts, in partnership with other steelmakers and the World Steel Association, to find a new, low carbon iron-making technology. At BlueScope, safety is Our Number 1 priority. This is true regardless of where we operate in the world. Tragically in March this year one of our employees, Mr Bao Jian Guo, 39, was killed while working in our Butler manufacturing plant in Shanghai, China. A thorough investigation was undertaken to understand what happened and steps have been taken to prevent this type of incident happening again. Our goal is Zero Harm and we must do everything we can to ensure all our employees and contractors are able to return home fit and healthy after every shift. During the year, we continued to improve our Lost Time Injury Frequency Rate, lowering it to 0.6, and the Medically Treated Injury Frequency Rate reduced to a record 4.4. Our communities are our homes. BlueScope Steel contributes to local communities around the world through collaborative partnerships that nurture youth, assist the disadvantaged, enhance community facilities and support emergency services. BlueScope and its employees share a commitment to our communities, especially during times of crises such as Thailand’s recent floods, the New Zealand Earthquake, the Queensland floods and the Rainsville, Alabama tornado. Our people make an important contribution to the welfare and happiness of all the communities where we live and work. We hope you enjoy this year’s Community, Safety and Environment Report.